The Evergreens celebrated our 30th anniversary in 2002 with the highlight being a very successful tour of Japan. The next two tours were to South America – Chile and Argentina in October 2004 and Argentina and Uruguay in September 2006. 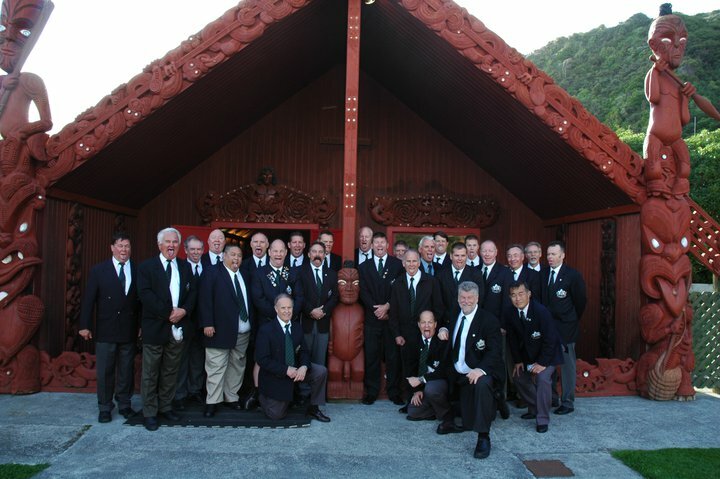 The team toured New Zealand in April of 2009 and again in 2011. There was a mini tour to Catalina Island in 2011. In 2014 they toured Thailand. The team is currently preparing for a return to South america with a tour to Argentina / Uruguay in Fall 2018. 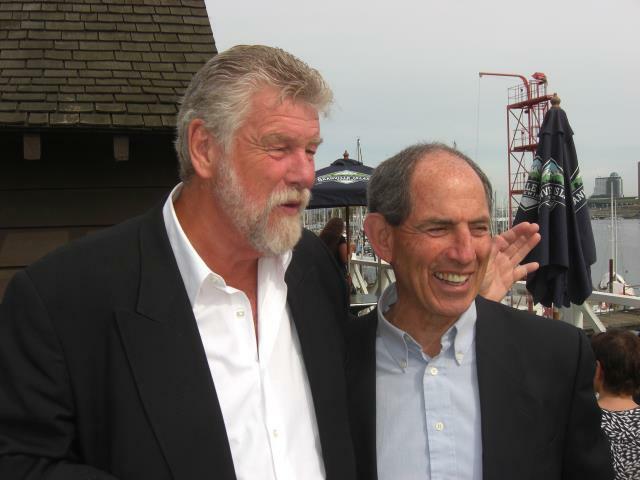 There have been twelve presidents during the history of the Evergreens: Graham Budge, Grant Larkin, Roly Witt, Norman Jack, Gary Fumano, John Podmore, Doug Dersch, George Sim, Brett Hay, Mark Ward, Barry Magrill, and the current president Joel Peterson. 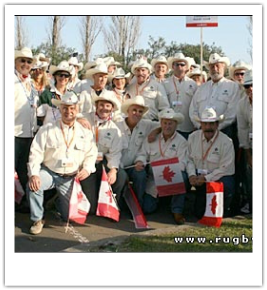 What started as a "pick-up" team to accommodate touring international teams has evolved into a very active and dynamic group of rugby enthusiasts, still eager to play and still committed to supporting the grass roots growth and development of the game. Today the club plays a full schedule of games from September to May during the "winter" rugby season. 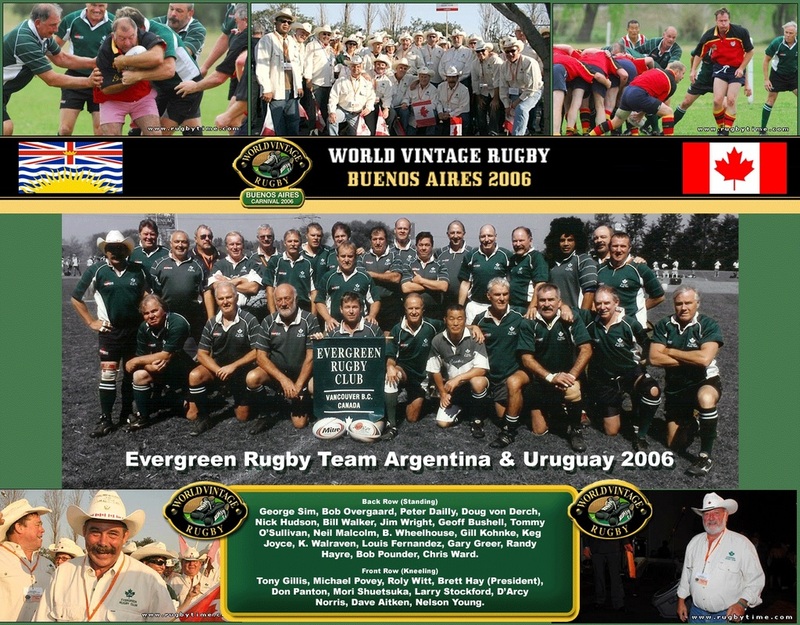 Increasingly, the Evergreens became more involved in supporting mainstream rugby throughout British Columbia and Canada. For many years we organized and sponsored the annual Rugby Cup for fifteen and seven aside tournaments; were the originators and driving force behind the refurbishing of the Brockton Clubhouse in 1984 and again in 2010. Brockton Oval Clubhouse Athletic fields at Brockton Point Stanley Park were first opened in 1891 serving as many as 10 different sport groups. First built in 1927 and strategically located between the rugby and cricket fields, the Brockton Clubhouse received a major restoration in 1984 when both sport groups joined forces to save this early landmark. Today it is the centre of club activities. Evergreens Over 40s Rugby Club, Vancouver BC Canada.